It’s absolutely insane to me that people get offended as easily as they do today. We live in a world where everyone is so lost without a purpose that they make one out of nothing. Quite honestly I’m sick of it. Regardless of how we got here, the only way to get out is to individually decide to get better. When enough individuals take personal responsibility to get better, we become a people. And when people get better. The nation is better. The best place to start, is to start softening your heart. That’s where I had to start. We live in a world where soft skin and a hard heart leads to everyone getting “offended” by everything. We were designed to have thick skin and a soft heart. Designed to pursue a purpose and a cause and love people along the way. So start today, start softening your heart and I’ll soften mine. At the same time, take some of that stone from your heart and put it in your spine. Stand up for your family. Stand up for your dream. Stand up for your cause. 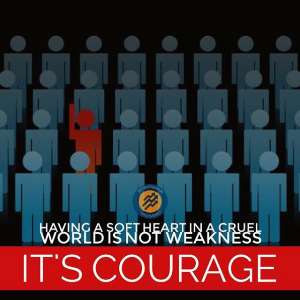 Stand up for your country. Stand up for your purpose. I.e: The stability of your wealth is directly linked to how well you build relationships. Thankfully relationships aren’t overly complicated to build. But they do require skill and time. Here’s the rub though… if the relationship deteriorates, that group has a chance of sliding backwards. They’re brutally murdered by ego, attitude and ignorance. You must keep these OUT of your relationships at all costs. That’s the hard part. Ego, attitude and ignorance will come knocking on your door. They’ll attack from all sides… upline, downline, crossline, family, friends and your spouse. Win the fight by having a coach to humble yourself to and stay accountable to. In a multitude of counselors, there is great wisdom. Lesson in Facebook Ads: Shine light on the poo – People’s BS meter is through the roof these days. Back in the day (Way back in 2015) – you could be “short and sweet” with your ads. You could sell people on all the benefits of your thing. Today… that’s not the case. You have to be brutally honest about who the offer IS NOT FOR. And what it CANNOT do. When you do that, not only will you get more customers, you’ll also see a huge spike in the quality of those customers. Not only did they buy with proper expectations, but you also cut through all the crap out there on Facebook of people hyping up their products. And even if it’s not fake. If it has hype nowadays, people view it as fake. Best Way To Relax The Mind: Make Your Own Espresso – This is so fun. My buddy Tim got this for Ashley and I for our wedding and it has been AWESOME. Not only is it relaxing (followed by jitters.) – I’ve learned how to pull espresso shots from some of the masters. Which makes for a great party trick. If you’ve got some cash to blow… you should definitely get one. What I Just Did: Applied for the inner circle – Well I did it. I pulled the trigger as I alluded to last week. I didn’t get accepted yet as there’s an application process and quite honestly… I don’t even know if there’s any availability as Russell can only coach so many students at once. But if I get accepted, at $25k, it’ll be the biggest personal investment I’ve made into my development, ever. If there’s anything I know, it’s that the information I’ve got in my head now, got me to where I’m at. So if I want to get beyond that, I have to acquire new information and new relationships. If I’m asking people to invest in my training so people can better themselves, I have to be willing to continually improve. And that means putting my money where my mouth is. I’ll let you know how it progresses! 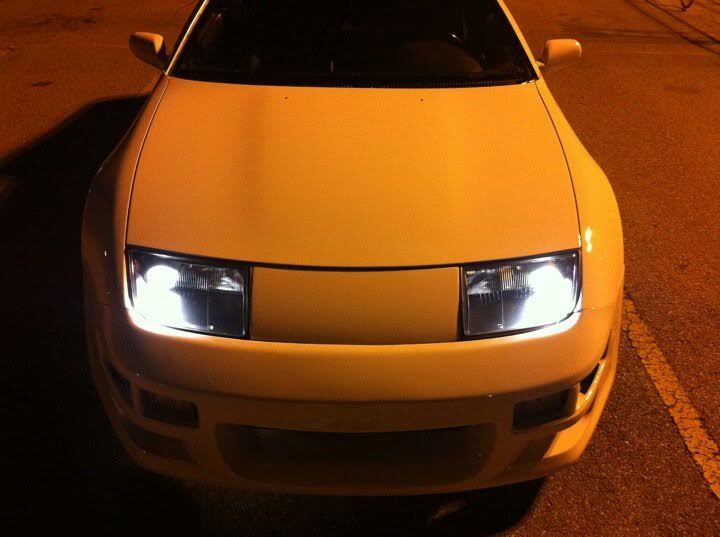 My Toy: 300ZX TT – I haven’t shared by “toy” obsession much but I’m a gearhead at heart. I went to trade school for car performance and ECU tuning. (Making cars go fast.) And this is my baby. My ultimate car. It’s not my dream car necessarily, but it’s the one I want the most. I already have it, my family and I have poured thousands of hours and tens of thousands of dollars into it. With some initial help from my parents and getting my first job at 15, I was able to start flipping cars in High School to eventually be able to afford this. There’s just something insanely satisfying about roasting a Corvette Z06, Dodge Viper or Ferrari F430 at the track with a $7,000 car that you built. Here it is. I’m going to start building it again soon.. My goal is a streetable 700RWHP machine with full creature comforts.